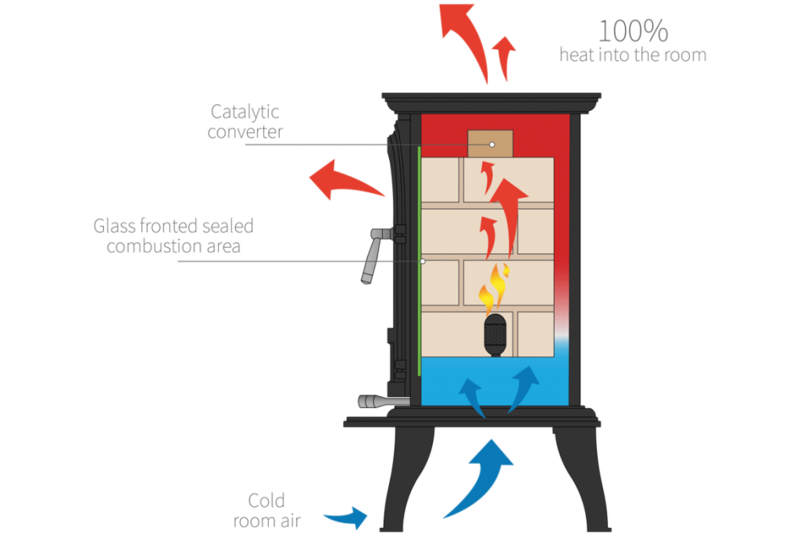 As a result of all the recent negative publicity facing wood burning stoves, we have been overwhelmed with enquiries for our range of clean burning flueless gas stoves, which provide a real alternative to solid fuel wood burning stoves and are not only kinder to the environment, but also help reduce running costs to deliver affordable warmth taking more people out of fuel poverty and at the same time, provide an attractive Focal Point to the home. When you consider that 84% of the 25 million homes in the UK rely on gas as the fuel for their central heating and hot water – at around 21 million households, it is therefore, a natural progression to include any new appliances that use the same fuel. We must also remember that natural gas is still the lowest cost fuel when it comes to supplying a comparable amount of kW usage. Our flueless gas stoves which do not require a chimney or flue to operate and therefore, offer a cleaner more convenient alternative for example, to solid fuel stoves. 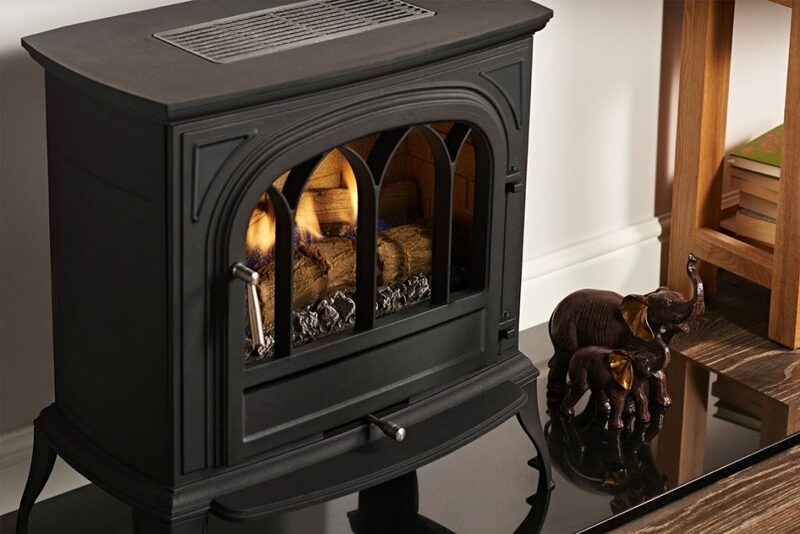 The real alternative to the solid fuel stove is our gas stove which is similar in size and with its traditional styling, changing to a gas stove can be a simple process. We designed, developed and launched our range of gas stoves which are a more efficient alternative to solid fuel without compromising the real flame they create and are simplistic in design. 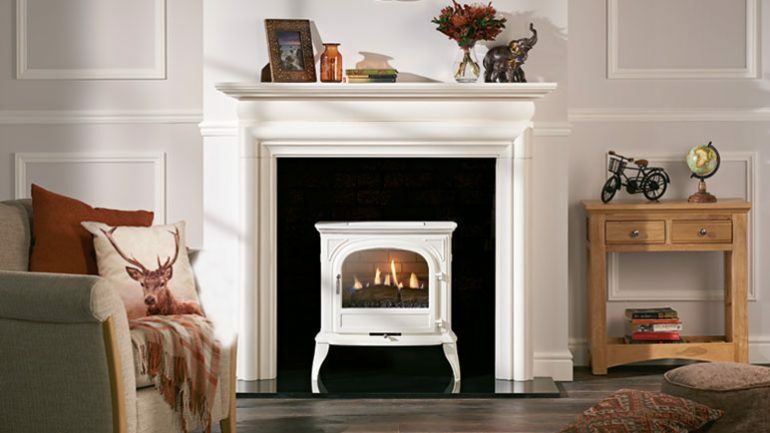 You may not be familiar with the flueless technology which we have utilised in the stove yet, but you will be familiar with the ever-popular wood burning stoves. Our flueless gas stoves embrace the look and feel of these solid fuel stoves and we need to make consumers aware that following recent reports on air quality that gas fires are suitable for use in smoke controlled areas due to the fact that they have much lower emissions than wood burners and they do not produce any particulate matter which is hazardous to health. 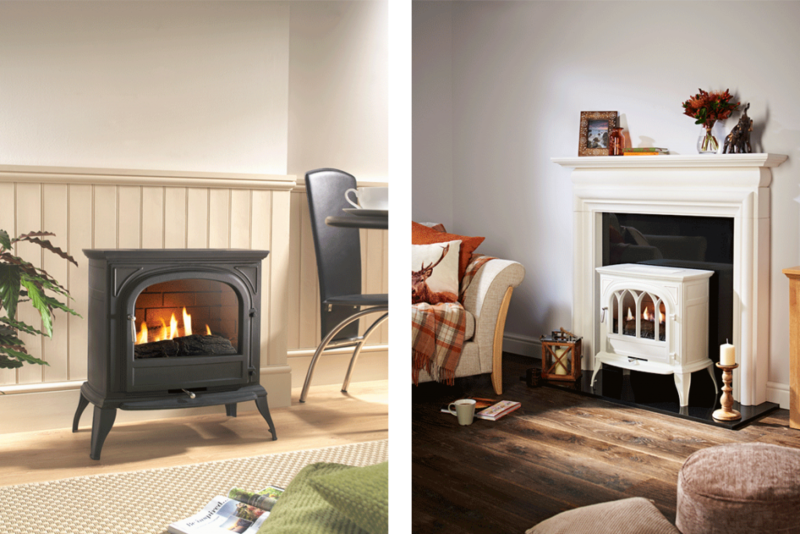 Our flueless gas stoves therefore, provide a real attractive alternative which are easy to fit and are 100% efficient. Consumers no longer need to spend thousands of pounds to install a flue, or have their chimney cleaned to enjoy all the benefits of a cosy stove in their homes. Our clean burning alternative gas stove does not require a chimney or a flue, are simple and cheap to install and produce a stunning realistic flame effect. A cleverly designed, patented control system is ideally located at the front of the appliance making it easy to use and control, without having to clean out, fill up and relight as you would need to do with solid wood stoves and many people still want the look with the simplicity of using gas. Flueless stoves are simple to use, create instant warmth and benefit from not having the hassle of empty out ashes or store logs, which you have to do with a solid fuel stove. Flueless stoves are some of the safest products on the market, tested and certified by BSI to internationally recognised standards (EN14829) and use an innovative catalytic converter system which is positioned at the top of the appliance to convert any combustion gases into carbon dioxide and water vapour, levels of which are typically present in fresh air, meaning you can safely enjoy warmth from your gas fire or stove. As the current leading online retailer of high-efficiency gas and electric fires, we decided to set-up a static showroom, right here in Dorset. Located in Christchurch, our showroom boasts an incredibly wide range of fires; stoves, gas, electric, even LED screens that simulate a roaring blaze. The possibilities are endless. Someone you might not have heard of is our parent company ‘Focal Point Fires’; the single largest gas fire manufacturer in the UK, with clients including DIY giant, ‘B&Q’. Chances are if you have ever looked for a fire in B&Q it’s probably one that has been made by Focal Point. Superior Fires is actually the subsidiary to Focal Point – the same talents with new ambitions. The company was set-up with the aim to create an entirely new direction and a service that enabled customers to create something that would fit in perfectly with their home. We pride ourselves on the quality of our products. Each and every project is given due-care and no aspect is left unconsidered. The benefit of employing a manufacturer-come-retailer to create your fire is just the level of flexibility you have, especially when it comes to design. You can trust that whatever vision you have in mind, can be brought to life, leaving your expectations well and truly exceeded. Whatever the budget, project, or style, we are confident that they can find you the ultimate solution.